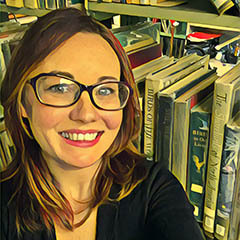 Colleen Ellithorpe works at Saratoga Springs Public Library as Teen Services Librarian, and is responsible for creating and leading programs for teens and young adults, collection development, reference and RA. She received her MSIS degree from the University at Albany in 2014 and has a background and undergraduate degree in fine arts. Colleen is a graduate of the 2016-17 Sunshine State Library Leadership Institute, an initiative of the Division of Library and Information Services, Florida Department of State.